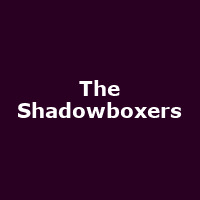 The Shadowboxers are an American pop-soul band from Atlanta, formed in 2008. The band features founder members, Adam Hoffman - vocals/ guitar, Matt Lipkins - vocals/ keyboards and Scott Tyler - vocals/ guitar. They released their debut album, "The Shadowboxers" in 2011, followed by: "Red Room" (2013), plus 2018's: "Apollo".